1. The appellant filed a complaint before the National Consumer Disputes Redressal Commission, New Delhi being Consumer Complaint No.20 of 2006, asserting that it had taken an Insurance Policy from the respondent (Insurance Company) for a period of one year from 19th July, 2004 to 18th July, 2005, in respect of its building, plant and machinery at plot No.70/3, B.K. Textile Compound, Dan Udyog Sangh Ltd., Piparia, Silvassa, Dadra Nagar, Haveli, for a sum assured of 2 Rs.2,87,00,000/- (Two Crore Eighty Seven Lakh Only) on reinstatement value basis. Due to torrential rains and floods in the entire area, the water gushed into the factory premises causing damage to the machinery as well as raw material lying therein. This event occurred on 4th August, 2004. Intimation of the loss was given to the respondent after a gap of 3 months 25 days, on 30th November, 2004. Thereafter, the respondent appointed a surveyor to assess the loss caused due to the flooding of the factory premises. The surveyor after causing inspection submitted its report to the respondent inter alia stating that the claim was not payable on account of the failure of the complainant to comply with the mandate of Clause 6 of the general conditions of the policy. Acting upon the said report, the respondent vide letter dated 18th February, 2005 conveyed rejection of the claim to the appellant on the ground that neither the intimation of the loss had been given to it immediately nor were the requisite particulars of the loss conveyed within stipulated period. Thus, there was breach of terms and conditions of Clause 6 of the general conditions of the policy. 3 2. As a sequel, the appellant approached the Commission for a declaration that the respondent was guilty of deficiency in service as well as unfair trade practices. Additionally, to direct the respondent to sanction the genuine claim of the appellant and reimburse the loss caused to it due to the floods to the tune of Rs.2,66,05,000/-(Two Crore Sixty Six Lakh Five Thousand Only) with interest at the rate of 21% per annum from the date of incident till realization of the same. The appellant also prayed for compensation amount of Rs.5,00,000/- (Five Lakh Only) towards mental agony and cost and further an amount of Rs.1,00,000/- (One Lakh Only) towards incidental expenses. 3. The complaint was opposed by the respondent on the ground that there was gross violation of the terms and conditions of the policy as no intimation muchless immediate information about the loss was given to the Insurance Company nor was a claim lodged with the requisite particulars within the time stipulated in the policy. 7. The review petition filed by the appellant was accordingly dismissed vide judgment and order dated 25th October, 2016. Both the decisions of the Commission dated 25th October, 2016 in Review Application No.77 of 2016 and dated 10th December, 2015 in Consumer Complaint No.20 of 2006 have been assailed in the present appeals. 8. The appellant would contend that the issue is no more res integra. For, this Court in Galada Power and Telecommunication Ltd. (supra), while considering similar contention has held that the insurer having appointed a surveyor despite stipulation such as in Clause 6, waives its right to advance the plea that the claim was not entertainable because of the condition enumerated in duration clause was not satisfied. 9. Per contra, the respondent would contend that the dictum in the said decision is contextual and in the backdrop of the factual matrix of that case. In other words, the issue of waiver by the insurer has been answered against the insurer not merely because of appointing a surveyor despite the 9 stipulation in the policy, but the Court at more than one place while analysing the facts noted the additional circumstance that the letter of repudiation sent by the insurer merely stated that, the claim lodged by the insured was not falling under the purview of the transit loss. The Court opined that the appointment of a surveyor despite the stipulation in Clause 5 therein was a positive action taken by the insurer reinforcing the finding of waiver of its right to advance the plea that the claim was not entertainable because the condition enumerated in duration clause was not satisfied. 10. We have heard Mr. Jitendra Mohan Sharma, learned senior counsel for the appellant and Mr. Joy Basu, learned senior counsel for the respondent. 11. The singular question involved in these appeals is whether the respondent (insurer) had waived the condition relating to delay in intimation, by appointing a surveyor. 12. It is well established position that waiver is an intentional relinquishment of a right. It must involve conscious 10 abandonment of an existing legal right, advantage, benefit, claim or privilege, which except for such a waiver, a party could have enjoyed. It is an agreement not to assert a right. To invoke the principle of waiver, the person who is said to have waived must be fully informed as to his rights and with full knowledge about the same, he intentionally abandons them. [See para 41 of State of Punjab (supra)]. There must be a specific plea of waiver, much less of abandonment of a right by the opposite party. 13. We shall, therefore, first traverse through the pleadings of the parties. The appellant has asserted that it was pointed out to the respondent that the act of appointing surveyor by the respondent was an implied consent of condoning the delay. In case the respondent wanted to repudiate the appellant‟s claim only on the technical ground of 15 days‟ delay, it should have done at the first instance and there was no need to have appointed a surveyor thereafter. 14. The respondent while refuting the said assertion of the appellant stated in the written version filed before the 11 Commission that the appellant was negligent in dealing with its affairs, including in the matter of informing the respondent forthwith about the claim after the loss or damage caused on account of flooding as was essential as per condition No.6 of the policy. Condition No.6 of the policy reads thus: “6. (i) On the happening of any loss or damage the insured shall forthwith give notice thereof to the Company and shall within 15 days after the loss or damage, or such further time as the Company may in writing allow in that behalf, deliver to the Company …………………………….. No Claim under this policy shall be payable unless the terms of this condition have been complied with.” The respondent also urged that after the receipt of the claim intimation from the Bank, it immediately appointed M/s. Saran Engineers & Consultants to survey and assess the loss. The surveyor after visiting the premises gave a detailed report dated 29th December, 2004 including its recommendation that the loss is not payable as per the policy (B) General Conditions, Para 6. On the basis of that report and keeping in mind the terms and conditions of the policy, the respondent repudiated the claim in terms of policy condition No.6 and intimated the repudiation of the claim to the appellant vide 12 letter dated 18th February, 2005. The respondent also asserted that the true import of the letter of repudiation is a matter of interpretation. In any case, the appointment of the surveyor was necessary, otherwise the appellant would have complained about the non-appointment of the surveyor. The respondent urged that the appellant was in breach of the policy condition. 17. In the present case, it is common ground that the letter of repudiation dated 18th February, 2005 elucidates that the claim of the appellant was rejected on the ground that neither the intimation of the loss had been given to it immediately after the loss nor were the requisite particulars of the loss conveyed within stipulated period and there was breach of terms and conditions of Clause 6 of the general conditions of the policy. Additionally, the surveyor report predicates that it was very difficult to estimate the damages for the reasons mentioned therein and that the claim of the appellant was not payable on account of breach of Clause 6 of the general conditions of the policy. That recommendation commended to 15 the respondent. It has been so incorporated in the letter of repudiation dated 18th February, 2005. 18. The respondent has rightly pointed out the other distinguishing features in the present case. To wit, in that case [Galada (supra)], the Court had considered Clause 5 of a Marine Insurance Policy wherein the issue was whether the insurance cover itself had extinguished by efflux of time and that the intimation given by the insured to the insurer was not made within 7 days of arrival of the vehicle at the destination mentioned in the policy. According to the insurer, on expiry of 7 days from delivery the insurance cover stood perished and no cover would subsist beyond the said 7 days period. It is in that context, the Court noted that appointment of the surveyor by the insurer beyond the said period can be construed as an act of waiver by the insurer of the position that the policy stands extinguished. In other words, appointment of a surveyor by the insurer was interpreted as a manifestation of the stand of the insurer that the insurance cover still subsists. This is evident from the dictum in paragraph 13 of the 16 reported decision as the Court noted that once a surveyor was nominated to verify the loss, the insurer could not be allowed to take a stand that the claim is hit by the clause pertaining to duration and moreso because of absence of any mention in the letter of repudiation. Thus, it went on to hold that from the positive conduct of the insurer in unequivocally appointing a surveyor, the insurer had waived the right which was in its favour under the duration clause. 19. The expression “duration” is of some significance which is reflective of the existence or otherwise of the policy itself. In the present case, there is no dispute about the subsistence of the policy but is one of violation of condition No.6 of the policy. 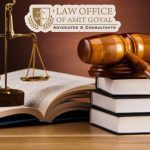 Furthermore, in the present case the controversy will have to be answered on the basis of Standard Fire and Special Perils Policy relatable to condition No.6 obligating the insured to give forthwith intimation of the loss to the insurer. The two clauses are materially different and relate to two different and distinct insurance policies. In other words, Clause 5 of the Marine 17 Insurance Policy and Clause 6 of the present policy are incomparable being qualitatively different. 20. To put it differently, Galada’s case (supra) was not a case which considered repudiation based on a premise or a reason similar to condition No.6 of the present policy and a specific plea taken by the insurer in that behalf in the repudiation letter itself. Notably, Clause 5 of the Marine Insurance Policy which was the subject matter in Galada’s case (supra) did not have a negative covenant as in this case in the proviso to condition No.6 of the subject policy. The fulfillment of the stipulation in Clause 6 of the general conditions of the policy is the sine qua non to maintain a valid claim under the policy. 21. We, therefore, agree with the respondent that the dictum in Galada’s case (supra) is in the context of the facts of that case and does not lay down that on the appointment of a surveyor, per se, the insurer is estopped from raising a plea of violation of the condition warranting a repudiation of the claim. The factum of waiver has to be gathered from the totality of the obtaining circumstances. 18 22. Suffice it to observe that Galada’s case (supra) will be of no avail to the facts and circumstances of the present case. In that, the event occurred on 4th August, 2004 but intimation was given to the insurer only on 30th November, 2004 after a gap of around 3 months 25 days. No explanation was offered for such a long gap muchless plausible and satisfactory explanation. The stipulation in condition No.6 of the policy to forthwith give notice to the insurer is to facilitate the insurer to make a meaningful investigation into the cause of damage and nature of loss, if any. This Court in Parvesh Chander Chadha (supra) has held that it is the duty of insured to inform the loss forthwith after the incident. 23. The respondent has also invited our attention to the fact that in Galada’s case (supra), this Court has had no occasion to consider the efficacy of Insurance Surveyors and Loss Assessors (Licensing, Professional Requirements and Code of Conduct) Regulations, 2000, which came into effect from 14th November, 2000. For, the claim in Galada’s case (supra) arose in 1998 and the repudiation took place in 1999. By virtue of 19 the regulations, it is mandatory to appoint a surveyor on receipt of intimation about the loss; and the surveyor so appointed has to discharge his responsibilities and duties specified in the regulations while submitting its report. Thus, the appointment of a surveyor by the respondent after receipt of intimation of the loss from the appellant, in the context of the present insurance policy, coupled with the 2000 Regulations and in particular an express stand taken in the repudiation letter dated 18th February, 2005 sent by the respondent to the appellant after consideration of the surveyor‟s report, it cannot be construed to be a case of waiver on the part of the respondent. 25. The appellant would then contend that the respondent did not take a plea that the surveyor was appointed because of statutory obligation. Such a plea is raised for the first time before this Court. Even this submission does not commend us. For, that plea has been taken as an additional factor to distinguish the decision in Galada’s case (supra). The party is not expected to state the provisions of law in its pleading. The 20 fact that such obligation flows from the regulation, in that sense, is a mixed question of fact and law. The fact remains that the respondent had appointed a surveyor to enquire into the entire matter and submit its report. The surveyor expressly recommended that the claim was not payable on account of the infringement of Clause 6 of the general conditions of the policy. 26. We also find no merit in the grievance made by the appellant that the Commission did not consider the issue of waiver for which the appellant was granted liberty to file review petition by this Court. We say so because we find that the Commission considered the said issue as the singular issue and after analysing relevant aspects concluded that there was nothing to indicate that the respondent insurer had intentionally or consciously relinquished or waived its right to reject the claim on delayed intimation of loss, by appointing a surveyor to assess the loss claimed by the insured. For the above reasons, the argument that the Commission has not 21 analysed the said issue, as has been done by us, will make no difference to the conclusion recorded by it. 27. The appellant has also placed reliance on the decision in Om Prakash Versus Reliance General Insurance and Another, 6 to contend that the genuine claim of the appellant ought not to be rejected on technical ground, keeping in mind that the Consumer Protection Act is a beneficial legislation warranting liberal construction. That contention cannot be taken forward at the instance of the appellant who has failed to fulfill the threshold stipulation contained in Clause 6 of the general conditions of the policy and for which reason must suffer the consequence. It is not a technical matter but sine qua non for a valid claim to be pursued by the insured, as agreed upon between the parties. 28. In view of the above, we uphold the conclusion of the Commission that the respondent (insurer) had not waived the condition relating to delay stipulated in Clause 6 of the general 6 (2017) 9 SCC 724 22 conditions of the policy, by appointing a surveyor. Accordingly, these appeals must fail. 29. The appeals are dismissed with no order as to costs. .
New Delhi; August 21, 2018. This is a confidential email from the Law Office of Amit Goyal. This communication (including any accompanying documents/attachment(s) is intended only for the use of the addressee(s) and in all likelihood contains information that is legally PRIVILEGED AND CONFIDENTIAL. If you are not the intended recipient, you are notified that any dissemination and/or copying of this e-mail is strictly prohibited and you are requested to delete this e-mail immediately. Any unauthorized review, use, disclosure, dissemination, forwarding, printing or copying of this email or any action taken in reliance on this e-mail is strictly prohibited and may be unlawful. Communicating through e-mail is not secure and capable of interception, delays, virus, defects etc. Anyone communicating through email/ internet accepts the risks involved and their consequences. Law Office of Amit Goyal does not accept liability for the views expressed in this email. Thank you for your cooperation.